"The Trinity number 3 is unfortunate not to have been named on the Man of Steel shortlist after a tremendous campaign and notched for the fourteenth time last week." Attractive wagers for the final round of the Super 8s look thin on the ground, with next week's semi-finals already set in stone and question marks over what sides the four teams in question will put out. 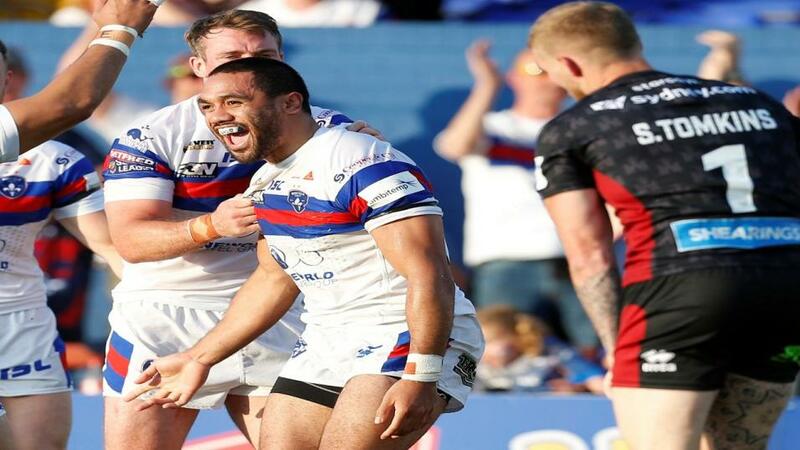 One odds-against punt that looks worth taking is for Wakefield's Bill Tupou to cap off a fantastic year with a try in their final home game against Warrington. The Trinity number 3 is unfortunate not to have been named on the Man of Steel shortlist after a tremendous campaign. He's been the leading metre-maker and a frequent scorer to boot, notching for the 14th time last week against Castleford having moved to the wing in the absence of Tom Johnstone. Back him to do some more damage against the Wolves. The final round of the Qualifiers looks a lot more interesting. Ironic given the concept has been scrapped for next season. Salford Red Devils secured their Super League status with victory over Toulouse on Thursday while only a freak set of results will see Leeds Rhinos having to contest the Million Pound Game next Sunday night. They will finish top of the group with victory over third-placed Toronto at Headingley, but are unlikely to have it all their own way, and the Wolfpack are worth a bet getting a start of ten in the televised match. The Championship winners need two points to keep the pressure on fourth-placed Hull KR, who play on Sunday, and they visit Leeds on the back of a 20-12 win over Widnes in Canada. This will be tougher, though the Rhinos haven't rolled over anyone in the Qualifiers and have conceded 76 points in three matches at home, including a win over Salford by two and a defeat to Hull KR by the same margin despite scoring 36 points themselves.